Agawam Paranormal is a family and friends based team that conducts investigations locally, at the request of a client, for both commercial, residential and historic sites that are suspected of having paranormal activity. We use a vast array of equipment and experience to attempt to capture evidence supporting the client’s claims of paranormal activity at their location. While this team does believe in a scientific approach towards any investigation, it is also a fact that some people are more sensitive to a spirit’s presence and as such we also do have two psychic / mediums on our team full time. All is done at NO COST to the client. This team is made-up of very serious minded and professional members that has been conducting local investigations for eleven years now, almost all of the members have had paranormal experiences first-hand and have either been investigating or at the very least have been extremely interested in this field for many years. I myself, have been involved in paranormal investigations and study for over 30 years now due to the experiences that I had witnessed and could never adequately explain, even to myself. I began putting this team together in December of 2007 and immediately began by creating a training program for all team members to take before I would consider them as “active” investigators. I called this program / course “Ghostology 101”. It is a basic introduction to the paranormal world and covers topics such as terminology, equipment and technical issues, evidence review (video, photo & EVP), types of hauntings, types of apparitions, “do’s” and “don’ts” for investigations, and many other related topics as well. Also, I have put together a power point presentation that runs simultaneously with the lecture program. There are also several question and answer sessions during the presentation, in order to make this experience a more personal and enjoyable one. To help all those in distress, whether they are alive or deceased. It has been stated that a “trapped” spirit is in hell and we, by using our common sense, religious beliefs as well as our team psychic’s abilities, attempt to release these spirits into their afterlife as well as trying to restore the site to it’s normal atmosphere. However above all, to provide “piece of mind” to the client. I am often approached and asked how someone can join my team. It’s actually quite simple, just send me an e-mail to AgawamParanormal@aol.com and let me know that you are interested. The only real restriction is that all investigators must be 18 years of age or older. I conduct or oversee all of the training and instruction. So if curious, type away. All new investigators start off as “In Training” until such time as they have completed the “Ghostology 101” course and several training investigations (this is considered a probationary period). While investigators do continue to learn the “ins and outs” of paranormal investigation even after the basics of training, this approach does provide the building blocks for a future in this field and with my team. It also allows new investigators to learn the equipment in a stress free environment. I do not believe in making people “jump through hoops” to volunteer their time and efforts to a project. Once the initial training is complete, new investigators become “Active” and are labeled as “Investigator“. This level of membership comes with the least amount of responsibility and is perfect for the person that just wants to become casually involved in the paranormal. Investigators are involved in investigations and evidence reviews. Investigators are rotated into cases based upon the current roster. The second level of membership is that of a “Senior Investigator“. Senior Investigators have been with the team for an extended period of time and are much more comfortable with both the processes that we follow and the equipment that we use. They also have their own rotation from the current roster and are involved in more aspects of the investigation and advanced training with techniques and methods. Senior Investigators are really the “right hands” of the “Team Leaders” during any case. The final level of membership is that of a “Team Leader“. Team Leaders are involved in all aspects of the investigations and the training of new investigators. These are the people that are actually in charge of a team during an investigation. I meet with the Team Leaders prior to each investigation to update them on any recent activity at the site as well as our objectives for the coming evening’s work. They establish the manner in which their team will conduct their work during a case and are responsible for thinking “outside the box” with their methods. Team Leaders are involved in all parts of an investigation, from initial contact with a prospective client to the final reveal. There are also two different options for all stages of investigator, beyond the training level. If an investigator is interested, they may also become active in either the “Research Department” or the “Technical Department“. The Research Department is under the direction of Sharon Turcotte and does the actual historical work for our cases. They work to attempt to explain what may be causing a reported haunting, sometimes going back more than a century in the process. The Technical Department is under the direction of Ed Starkes and their function is to create different ways to modify equipment so that it works more efficiently during an investigation. Both of these departments are in addition to the responsibilities of their level of investigator. 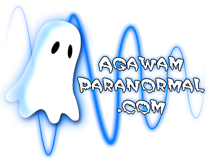 I am very proud to announce that Agawam Paranormal is up to over fifty different libraries on our list of presentation locations. While working on this most recent update, I began putting together a list of the different libraries that we have worked with over the years. I was very surprised to note that we have covered the entire state, from Rowe to Athol to Westfield to Barre and even out to Cape Cod! Welcome all, my team and I look forward to being a part of your programing schedules. We hope that you enjoy these presentations, Thank-You.